You are now ready to start praying the Salaat. If this is your very first time praying, you should start by visiting the "Start Praying NOW!" page by clicking HERE. There you will learn the very basics of preparing for the Salaat followed by learning the physical movements and posture changes in the Salaat. 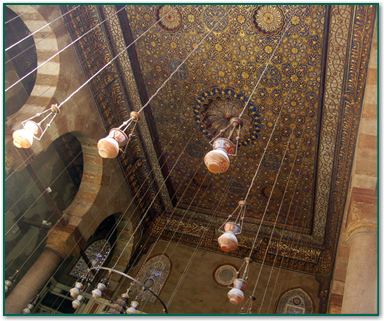 Then you can play the audio for the complete Salaat and follow along with the audio as you go through the motions. This way you will inshaAllah get more familiar with the sounds as well and this will help you learn the sounds better as well. Once you get started this way, you can then visit the "Learn Salaat Words" page, where you can learn each phrase in the Salaat individually in a very detailed fashion and then practice each phrase along with specific practice tracks. Once you have inshaAllah completed this program and have learnt the words to the basics of Salaat, you should try and learn more verses and Surah's from the Quran. 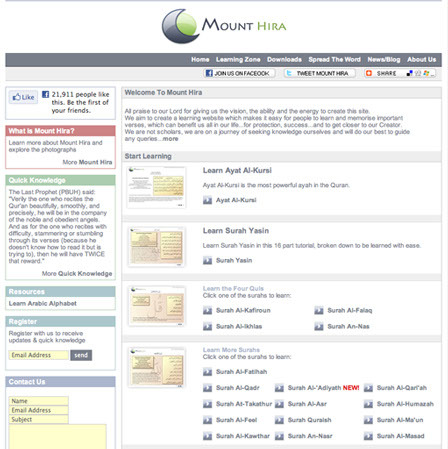 A very good resource for doing this is the Mount Hira website (see below)which has tools to learn the Arabic of several short Surah's from the Quran. Try to learn to read Arabic. There is no subsititute for being able to read the Quran yourself and it will also help you learn the variety of supplications and remembrances of Allah that the Prophet Muhammad (PBUH) used to recite during his Salaat. They will help add further flavor to your Salaat.